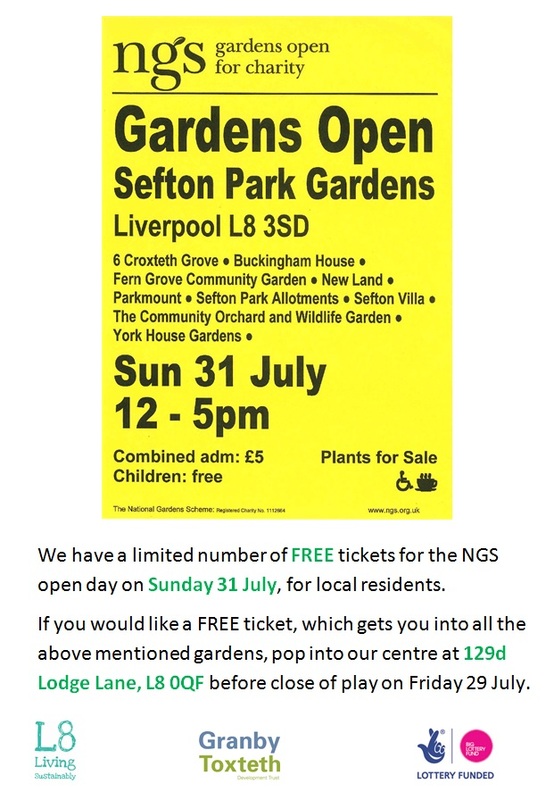 We have a number of FREE tickets for the National Garden Scheme open day on Sunday 31 July which includes a number of local community gardens that we work with. If you would like a free ticket, just pop into our centre at 129d Lodge Lane and ask on reception. One ticket will get you into all the gardens listed below!